Or $0.80 per contact lens (x30 per box). 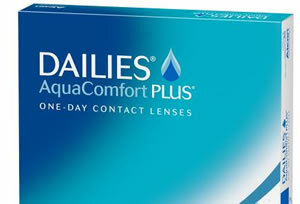 Or $8.06 per contact lens (x6 per box). Or $0.49 per contact lens (x90 per box). Or $0.57 per contact lens (x30 per box). Or $0.24 per contact lens (x90 per box). Or $0.53 per contact lens (x30 per box). Or $0.60 per contact lens (x90 per box). When it’s time to enjoy the freedom from glasses, Focus contact lenses have you covered. This brand is specially manufactured by eye care giant Ciba Vision from the Novartis global pharmaceutical and healthcare family. What does the Focus brand have to offer? The company offers an array of daily, weekly and monthly wear contact lenses to suit your preferences and needs. 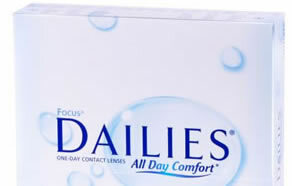 Focus Dailies contact lenses are your 1-day soft disposable contact lenses. These lenses are convenient and perfect for people on the go because it’s not necessary to clean or store the contact lenses. Pop them in and you’re good to go. Remove them and dispose of them once you’re done. It’s that simple. 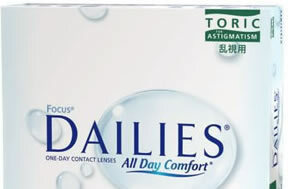 Within the Focus Dailies line are a number of other products for specific needs. The Focus Dailies Toric model is for those with astigmatisms. These are specially designed to provide visual acuity combined with comfort in every pair. Those who are in need of bifocals for contact lenses need not look further. The Focus Dailies Progressive is the answer to presbyopia. Other options in this 1-day-wear line include Dailies AquaComfort Plus 90PK, Focus Dailies 90PK and Focus Dailies Progressives 30PK. Focus also makes products for longer-term wear. The Focus 1-2 Week SoftColors, for example, are great for those who prefer to leave their lenses in for a while. Monthly wear lenses are also available. 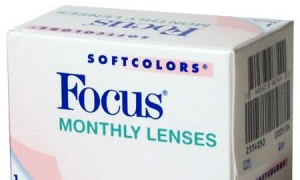 This line includes the Focus Monthly Softcolors products and Focus Monthly Visitint. These lenses may be worn continuously for up to a month and then replaced with a fresh new pair. Focus also delivers such models as the Focus Night & Day brand and Focus Progressive. When it’s time to buy contact lenses, the Focus line from Ciba Vision delivers products people trust to perform. Within this extensive line, almost anyone can find lenses that target their eye care needs without compromising comfort. The only thing better than the freedom of wearing Focus contact lenses is saving money on the purchase. That’s what PriceContactLenses.com is here for. We make it simple for you to compare prices at the top online retailers so you can enjoy discount contact lenses for less.